NYC Educator: What a Maroon! What an Ignoranamous! 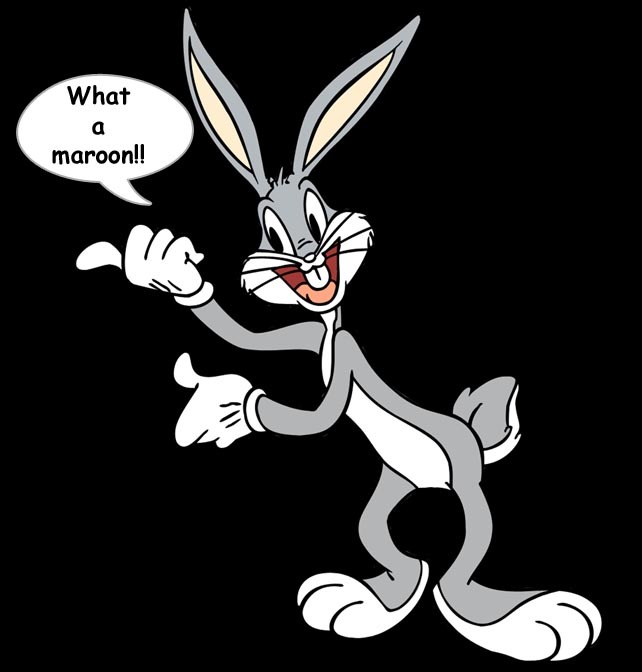 That's what Bugs Bunny would say at the notion of kids coming back for a full school day on June 25th. Supposedly it's to make up a snow day. It was tragic that we had to close the schools for snow this year, but hey, IT WAS SNOWING!!! It's a long and hallowed tradition that when every school in the area closes, because IT'S SNOWING, NYC schools stay open. While in the suburbs, slippery streets are dangerous, people slip, people freeze, people die, it's a well-known fact that city kids and teachers are impervious to nature. I know this well because in the burbs, where I live, my daughter often gets days off when I have to go in. While it's too dangerous for her school bus to cross town, it's fine for me to get on the LIE and hope for the best. I remember one morning I was driving in, cars crashing to my left and right, and then-mayor Saint Rudy Giuliani was on the radio saying, "For God's sake, don't come to work today unless you really have to." But he was my boss, and he was the same guy telling me to come to work. I wrote his quote on the board for the handful of kids who showed up. In any case, if there are too many snow days in our district, they may schedule one during February or spring break. I don't ever keep my kid out of school so we can go to Disneyland or something, but if we have a trip planned during a break, I don't cancel it so she can go to school one extra day. But Joel Klein, in his infinite wisdom, has decreed that kids will return for a full school day June 25th. It's likely Joel Klein has never taught a class of kids that's already taken all the tests, received all the grades, and seen all the consequences of their actions. Personally, that's not a class I want to meet, even though they know me well enough not to mess with me. More to the point, the overwhelming majority of those kids are simply not going to show up. Some might say that this plan is the work of a petty, small-minded fussbudget. And that's precisely the person the dimwitted, tone-deaf "reformers" think should decide the fate of teachers, regardless of seniority. In conclusion, Bugs was right.